ALL responsible & ethical breeders should be testing their breeding Leos for Leonberger Polyneuropathy. There are now DNA tests available for type 1 (LPN1) & type 2 (LPN2). We test our breeding Leos for both types and choose to only breed with Clear (N/N) dogs. In the case of LPN1 a Carrier (D/N) can be bred to a Clear (N/N) dog and whilst we respect the right & choice of other breeders to use an LPN1 Carrier (D/N), we prefer to use only those dogs with a Clear (N/N) result. In the case of LPN2 the recommendation of the researchers is that ONLY Clear (N/N) dogs should be used for breeding programs due to the different mode of inheritance. The following information has been published by the University of Minnesota. ‘Leonberger dogs may suffer from neuromuscular disease collectively termed Leonberger Polyneuropathy (LPN). LPN affected dogs suffers from slowly worsening exercise intolerance and may develop gait abnormalities, such as an exaggerated hitched step, especially in the hind limbs. There is often wasting of the hind limb muscles as well. Additionally, these dogs may have noisy breathing, a change in their bark, or even difficulty breathing due to involvement of the larynx and laryngeal folds in the throat. Eventually the disease may progress to the point where the dog cannot support its own weight. Biopsies of nerve from affected dogs show degradation of the nerve fibers and loss of myelin, the insulating material that normally helps speed messages along nerves. Muscle biopsies show atrophy resulting from nerve loss. Research carried out at the University of Minnesota, the University of Bern, and the University of California San Diego, indicates that polyneuropathy within the Leonberger breed is a group of several genetically distinct, but clinically similar diseases. We have mapped two major genetic risk loci and identified the causative mutations that we now term LPN1 and LPN2. Dogs homozygous for the LPN1 mutation typically develop clinical signs of disease before they reach 3 years of age. LPN2 heterozygous and homozygous dogs may begin to show signs of disease as young as age 1, but may not show signs of disease until later in life or never at all. The identified LPN1 mutation appears to be responsible for approximately 20% of the cases of polyneuropathy in Leonbergers, and LPN2 responsible for anther 20-25%. The other cases are apparently caused by different genetic mutations. 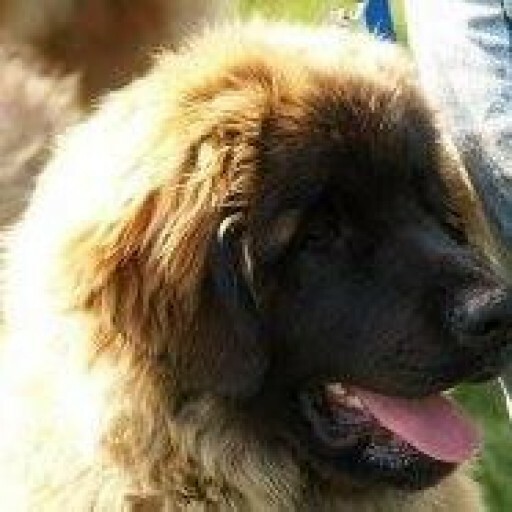 All our Leonbergers are health tested for Hips , Elbows and Eyes and also the 2 Gene tests for Polyneuropathy . Copies of all test results are then forwarded for inclusion in the Worldwide Leonberger Database . http://www.leonberger-database.com/pp_search_e.html If you are searching for a puppy , please do research the parents and check that all of these tests have been done . As of April 15th 2017 there is a new Gene test for LEMP .LEMP which stands for Leukoencephalomyopathy is a serious progressive Neurological disease usually manifesting in young Leos between 1 year and 4 years of age . Our own experience of this horrid disease we post below . Back in 2006 , we purchased two lovely leonberger puppies from well established kennels and well used but unrelated lines in the UK .When they grew up they both became champions here and then passed all their required health testing , and were bred together in 2009 and a wonderful typy litter of 11 were born . We were in contact with many of the puppy parents but around the age of 18 months – 2 years onwards , problems began to emerge in some youngsters . Unbeknown to us , we had bred two carriers of LEMP together , resulting in some being affected by LEMP .This manifested in a rapidly deteriorating neurological disease which vets were unable to diagnose . Our own youngster we had kept from the mating was affected and many different tests and treatments were tried on her without any improvement or answers ..She worsened rapidly .One of the drugs which was tried for a parasitic brain infection , caused her to suffer an overwhelming anaphylaxis reaction, but we did send in her DNA and complete information on the litter , parents , half siblings etc and got advice and help from Katie Minor at the University of Minnesota .All from that litter were stopped from breeding .We began a support and discussion group on Facebook .We contacted other health committees and the Leo Union to give as much as was possible for us to know about this illness .It is our firm belief that people should have knowledge and that open and honest disclosure is for the benefit of our beautiful breed in this disease and other disease . Many months went by and years too , and finally we got news that it was not connected to LPN1 or LPN2 , and it had been present in the Breed for a long time . This was released in October 2016 by the researchers . difficult to accurately diagnose slowly progressing neurological disorders at an early stage. NEWS FROM The Universities of Minnesota and Bern! Having only one LEMP-D/N parent, with a LEMP-N/N parent, will ensure that no LEMP-D/D offspring will be born. , about 14% were LEMP-D/N carriers. For breeding , it is necessary for all Leonbergers to be tested for LEMP and only Clear to Clear and Clear to Carrier is allowed . If two Carriers are bred then 25 % will be affected by LEMP , 25 % Clear and 50 % Carriers . It is important to know that Carriers show no symptoms at any age and are normal Leonbergers .